Common House Spider are the most commonly found types of spiders worldwide. 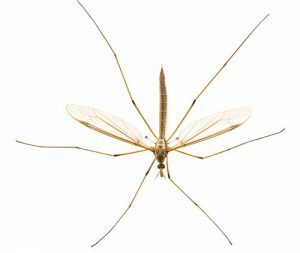 Their bodies can grow to be 4mm – 6mm and have a leg span of up to 2.5cm. House spiders are typically black, brown, tan, or grey, with patterns that make them look spotted. Though most spiders are venomous and considered predators, of the thousands of species found in Canada, few are actually considered a health threat. In fact, spiders are actually helpful in controlling other pests in the home or garden since they feed on other insects and spiders. Spiders, however, rarely bite humans. Most spiders’ fangs are too small or weak to puncture human skin. The average life span of a spider is usually one to two years. Adult house spiders live for over a year. Males seek out a female mate by plucking at her web until she responds. Over her lifetime, a female spider produces up to 17 egg sacs, each carrying 100-400 eggs. The eggs are wrapped in a silk sac and hung in the female’s web until they hatch and the spiderlings disperse. Common house spiders build their webs in living spaces in homes, such as corners of rooms, under furniture, window corners, and other warm spaces. Male and female house spiders share a web for long periods of time, and several other females will build webs in close proximity. Occasionally when two females cross paths, they fight to the death. House spiders feed on household pests, like flies, mosquitoes, ants, and wasps. home an undesirable habitat. Seal cracks around windows and doors, fix any screens that have rips or holes, and plug any other entry points. Strong scents, such as essential oils, also deter spiders. Spiders eat other insects, so removing the food source is necessary. Exercise caution when bringing items into the home during the fall for winter storage as they may conceal spiders or their eggs. A heavy duty vacuum cleaner with a crevice attachment can be used to remove spiders and webbing from around eaves, window frames and along the edges of siding panels. Need help with common house spiders extermination? There are two types of cellar spiders: long-bodied and short-bodied. Long-bodied cellar spiders have a 2” leg span, while the short-bodied species have a ½” leg span. Both species have 9mm long bodies, and are brown, tan, or grey in colour. Cellar spiders originated from the subtropics and therefore mate throughout the year, despite seasonal changes. After taking a year to mature, they can live for another 2 years. Female spiders will hold 20-30 eggs until they hatch. The young spiders will shed and change their skin 5 or 6 times before they mature. Cellar spiders prefer to build their nests in close proximity of each other, creating web communities. They live primarily in basements and cellars, earning them their name, but also nest in crawl spaces, closets, attics, rock piles, and other dark, humid spaces. They eat small moths, flies, mosquitoes, and other insects and small pests. If food is scarce, cellar spiders will eat each other. It is recommended that homeowners get rid of spiders by clearing away their webs and egg sacs with a vacuum or broom. 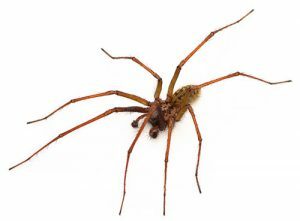 Reducing the humidity in your home and limiting the spiders’ food source are also effective ways to make the habitat undesirable and drive them out. Seal cracks around windows and doors, fix any screens that have rips or holes, and plug any other entry points. Need help with cellar spiders extermination? Wolf spiders’ bodies can grow 1cm – 3.5cm (1.3”) and have a leg span of up to 3”. They are patterned in black, brown, and grey hues and rely on camouflage to survive. Because of their size and furry appearance, they can be confused with tarantulas. Wolf spiders are solitary spiders and only interact to mate, feed, or both. Female wolf spiders sometimes kill and eat the male after they mate. The female will then carry her eggs – over 100 of them – in a silk sac under her abdomen until they hatch. Once hatched, the spiderlings cling to their mother’s abdomen for a few weeks before dispersing aerially. Unlike most other spiders, wolf spiders hunt for their prey rather than building webs. They’re nocturnal and have the third-best eyesight of all spiders. Wolf spiders prey on other spiders, large bugs like grasshoppers and beetles, and occasionally small reptiles. They dwell in burrows in woodlands, dry inland shrubs, wet coastal forests, meadows, and suburban gardens. In the fall, they seek warmth and can enter homes, settling near windows, doors, garages, basements, and houseplants. Clearing your yard of debris, such as grass clippings, leaves, firewood, or mulch, and reducing the number of dark hiding spots in your garden, will deter wolf spiders from nesting there. Regularly vacuuming or sweeping rooms that are usually dark, such as cellars or attics, will also keep wolf spiders away. Seal cracks around windows and doors, fix any screens that have rips or holes, and plug any other entry points. 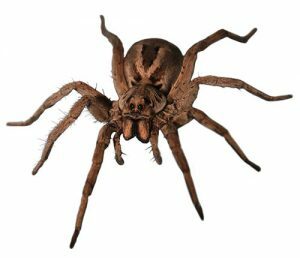 Need help with wolf spiders extermination?